Whether you are a public relations practitioner, professional communicator, marketing professional, journalist, public affairs consultant, event manager or a communications graduate why not become a member of the European Institute of Communications. With over 4000 members our objective is to provide professional educational programmes and networking opportunities for our growing membership. This is the most comprehensive professional PR course encompassing everything for the professional practitioner including: Strategic PR Planning, Media Relations, Social Media & Digital Marketing, European & Irish Public Affairs, Crisis Communication etc. BREXIT has placed an important focus on the role of the European Union and its impact for business and corporations. This course is relevant to all companies operating within the boundaries of Europe and includes visits to European Parliament, Council and Commission. The online environment has a defined foothold in the world of PR & stakeholder engagement. This practical professional course provides all the applicable skills to design, implement and evaluate an online strategy that incorporates engagement, advertising, SEO, graphics, video, brand reputation etc. using social media and digital marketing tools. When a crisis hits an organisation reputation can be damaged. It is essential to understand the dynamics of what's involved and to be prepared. This course will help you improve control in time of a crisis and teach you effective stakeholder engagement techniques. Learn the elements to understand the elements behind the most popular social media platforms to create an effective social media strategy for your organisation. This course has been designed specifically for communication practitioners who are engaging the media. Whether you are working in an organisation, political communications, charity or NGO you will benefit from the skills gleaned from this programme to enhance and develop your strategic media engagement. This is the industry standard programme specifically aimed at those who want a definitive knowledge of professional public relations practice. The European Institute of Communications are the leaders in the professional PR education market and finished with the top student 9 times in our 13 year history in the Public Relations Institute of Ireland (PRII) DipPR programme. We have over 4000 members from Ireland and all over the world who have undertaken our professional academic programmes. As the number one academic Institute specialising in PR education we hold the record within the last decade finishing with the top students in PR examinations. Focusing on the communication business arena you will find that our course programmes will enhance your skills and give you both the academic and necessary professional skills to achieve your career and employment goals. Through our academic faculties of the European Institute of Public Relations, European Institute of Digital Marketing and the European Institute of Social Media, our training programmes are designed to bridge the gap between traditional academia and industry demands by providing qualifications that demonstrate competency in the skills so highly sought after in the workforce today. Whether you decide to study part time or full time in Dublin or as a long distance or online student throughout Europe or internationally, you will never miss a lecture as we broadcast our lectures live over the internet and access can always be gained via our comprehensive recording system so that you always keep in touch with your course programme. Specialising in PR & Communications training and education, the European Institute of Communications is a dedicated professional and academic body providing recognised and approved partnership courses in Public Relations, European Public Affairs, European Studies, Social Media, Digital Marketing, Media relations and Crisis Communications programmes together with a range of courses in specialist short business courses. 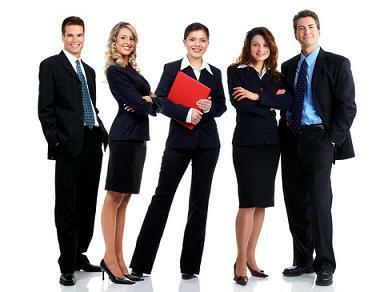 ​All the Institute’s courses are facilitated and designed to service the global professional communications industry.